My steaming mug of hot coffee sits next to a pair of wool mittens discarded from this morning’s run, a sure sign that winter is finally on its way. To be honest, after the endless fall and strangely warm temperatures across the Wasatch for the last two months, I’ve had my doubts. But ski season is charging towards us, and a weekend full of colder weather and scattered snow showers is ramping up the stoke in our household. Many of us are looking forward to skiing or boarding with our kids this winter. But I can tell you from years past that the first day on snow can be rough for everyone. 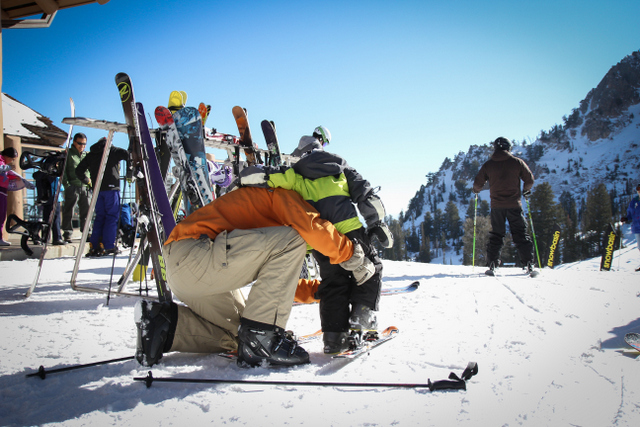 Here are a few ways you can prepare for ski season BEFORE the resorts open for business. 1. Get out the gear and get it on! Now is the time to get those boots and skis on the little ones, and not just to make sure they fit. Simply walking in ski boots is an acquired skill and takes some coordination especially for a toddler that is still mastering walking. I’ve seen many kids already in tears before the first run simply because walking to the chairlift was so frustrating. 2. Clip into the bindings. Whether snowboarding or skiing, practice getting into and out of the bindings before you are on the snow. Explain to the child how you can work together to snap in quickly. Set up a routine now so that you don’t have to practice it while kneeling in the snow in 20 degree weather. Practice short and simple words to communicate expectations. 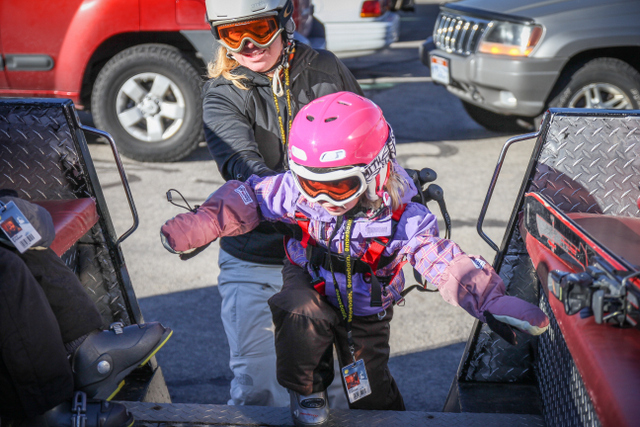 When you are out on the slopes bundled under a helmet, neck gator, and possibly fighting the wind, communication with your little one can be difficult at best. I explain before we are out on the slopes some simple key words, such as: shoulder (hold on to my shoulder), toe (put the toe in 1st), heel (line up the heel), and stomp (press down). 3. Lastly, talk through any safety plans. With older kids that are more independent on their skis, talk through a place to meet should you become separated during the day. Talk through who the safe adults are to approach should they need assistance (ie. 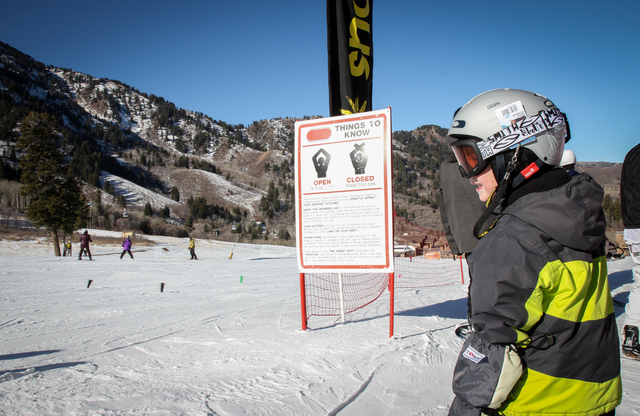 Ski Patrol, Lift Operators, Guest Services, Santa Claus) and any ski safety rules before you are on the slopes. Chances are, everyone will be so excited to hit the slopes, you will forget to have this conversation if you wait until the day of. Let the count down to opening day begin! Make sure your kids understand the safety rules.